To freeze and create motion involve one key element: light. With enough light you can freeze your image and make time stand still. With way too much light, your object in motion will become a white backdrop. And within a studio you have all options available to use one subject in order to freeze it’s substance as well as allow motion to move in the subject. 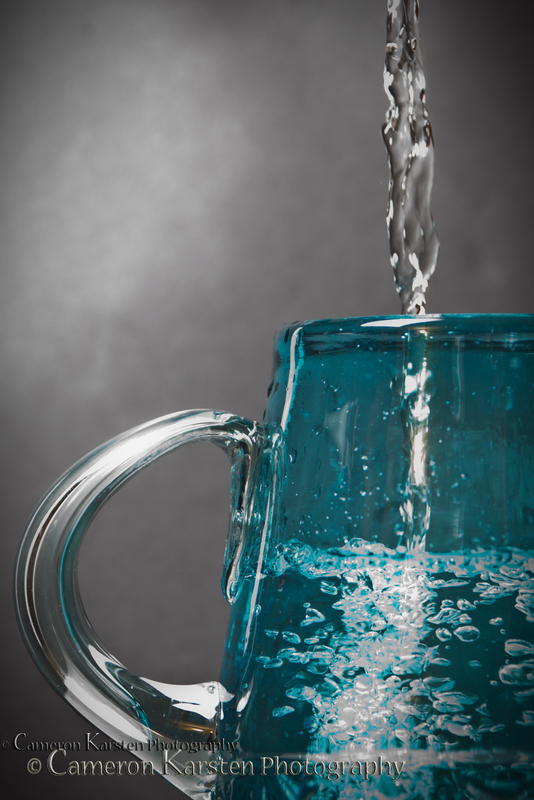 I experimented with a blue water vase from Anthropologie and the action of pouring water. For the above shot, the process was simple: dark studio, two Q-Flashes, camera on tripod, shutter release trigger and the correct adjustments. 165mm, 1 sec at f/5.6, ISO 1000, tripod mount. The next shot was more complex because I discovered that by slowing the shutter speed to capture the motion of the water into the container, and simultaneously popping the flash, I only captured the instant when to flashes fired. 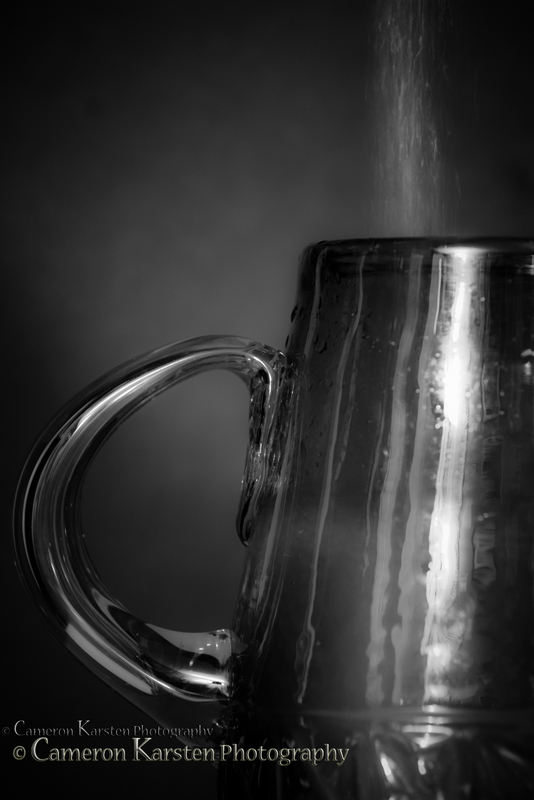 And when the flashes were off, and the shutter speed adjusted even longer, the clarity of the water never appeared in the final frame, only the jug against the black background. So, by changed liquids, substituting coconut milk for water, and turning off all lights once the jug was in focus in camera, I started pouring in the coconut milk before triggering the shutter speed for 2 secs and viola. 210mm, 2 sec at f/5.6, ISO 1000, tripod mount.